Melchora Aquino de Ramos (January 6, 1812 – March 2, 1919) was a Filipina revolutionary who became known as “Tandang Sora” in the history of the Philippines because of her age when the Philippine Revolution broke out in 1896 (she was already 84 at the time). She gained the titles Grand Woman of the Revolution and the Mother of Balintawak for her heroic contributions to Philippine history. Aquino was born on January 6, 1812, in Balintawak. Aquino, daughter of a peasant couple, Juan and Valentina Aquino, never attended school. However, she was apparently literate at an early age and talented as a singer and performed at local events as well as at Mass for her Church. She was also often chosen for the role of Reyna Elena during the “Santacruzan” in May. Later in life, she married to Fulgencio Ramos, a cabeza de barrio (village chief), and bore six children. Ramos died when their youngest child was seven and she was left as a single parent for their children. Aquino continued her life as an hermana mayor active in celebrating fiestas, baptisms, and weddings. She worked hard in order to give her children an education. In her native town, Tandang Sora operated a store, which became a refuge for the sick and wounded revolutionaries. She fed, gave medical attention to and encouraged the revolutionaries with motherly advice and prayers. Secret meetings of the Katipuneros (revolutionaries) were also held at her house. Thus she earned the names “Grand Woman of the revolution”, “Mother of Balintawak”, “Mother of the Katipunan”, “Mother of the Philippine Revolution”, and Tandang Sora (Tandang is derived from the Tagalog word matandâ, which means old). She and her son, Juan Ramos, were present in the Cry of Balintawak and were a witnesses to the tearing up of the cedulas. When the Spaniards learned about her activities and her knowledge to the whereabouts of the Katipuneros, she was interrogated but she refused to divulge any information. She was then arrested by the guardia civil and was deported to Guam, Mariana Islands. 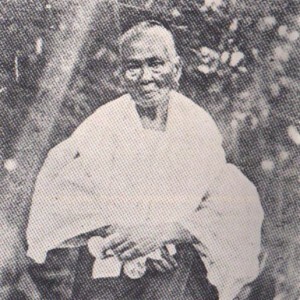 After the United States took control of the Philippines in 1898, Tandang Sora, like other exiles, returned to Philippines until her death on March 2, 1919 at the age of 107. Her remains lie in her own backyard (now as Himlayang Pilipino Memorial Park, Quezon City).